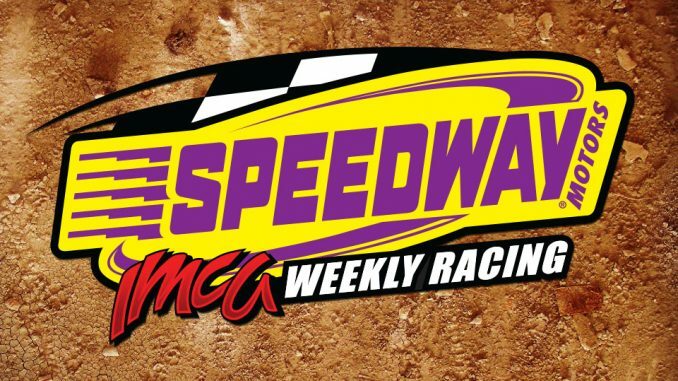 VINTON, Iowa (Oct. 5) – Track championship bonuses will be added to point standings for the eight IMCA divisions to be released next week. Unofficial national and regional champions and rookies of the year will be announced after bonuses and resulting point totals are verified. 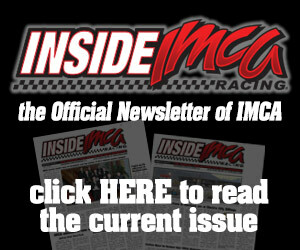 IMCA Modifieds – 1. Jordan Grabouski, Beatrice, Neb., 1,199; 2. Brandon Beckendorf, Danube, Minn., 1,194; 3. A. J. Ward, Ionia, Mich., 1,190; 4. Zane DeVilbiss, Farmington, N.M., 1,182; 5. Cory Sample, Winnemucca, Nev., 1,177; 6. Bricen James, Albany, Ore., 1,170; 7. Anthony Roth, Columbus, Neb., 1,162; 8. Chaz Baca, Mesa, Ariz., 1,157; 9. Jay Noteboom, Hinton, Iowa, 1,150; 10. Drew Armstrong, Alexander, Ark., 1,149; 11. Kelly Shryock, Fertile, Iowa, 1,147; 12. Tyler Limoges, Redwood Falls, Minn., 1,146; 13. Tim Ward, Chandler, Ariz., and Matt Szecsodi, Clio, Mich., both 1,145; 15. Josh McGaha, Abilene, Texas, 1,143; 16. Troy Cordes, Dunkerton, Iowa, 1,138; 17. Bryce Garnhart, Shannon, Ill., and Joel Rust, Grundy Center, Iowa, both 1,132; 19. Jeffrey Abbey, Comanche, Texas, 1,130; 20. Clint Hatlestad, Glencoe, Minn., 1,119. 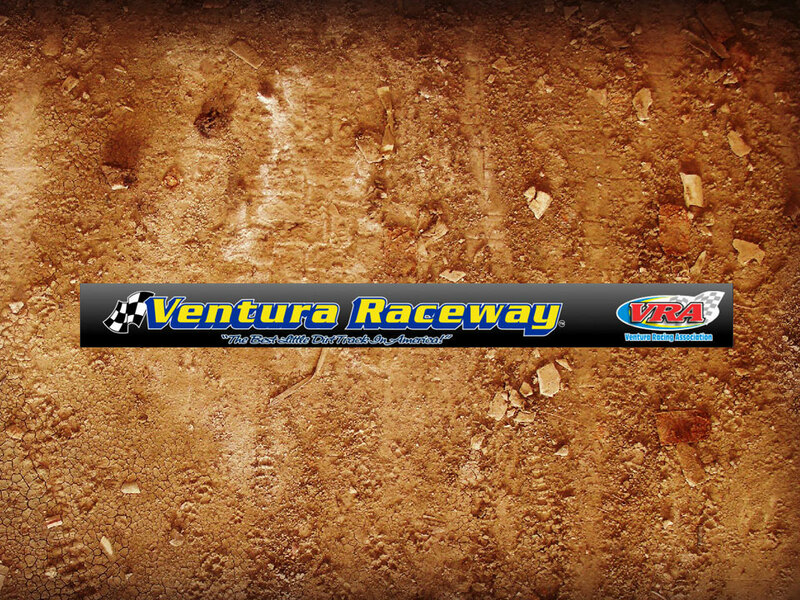 IMCA Late Models – 1. Matt Ryan, Davenport, Iowa, 789; 2. Todd Cooney, Pleasant Hill, Iowa, 788; 3. Jeremiah Hurst, Dubuque, Iowa, 787; 4. Andy Nezworski, Buffalo, Iowa, 782; 5. Rob Toland, Colona, Ill., 763; 6. Ryan Dolan, Lisbon, Iowa, 758; 7. Chuck Hanna, Port Byron, Ill., 741; 8. Darrel D. DeFrance, Marshalltown, Iowa, 731; 9. Chad Holladay, Muscatine, Iowa, 697; 10. Joe Zrostlik, Long Grove, Iowa, 685; 11. Gary Webb, Blue Grass, Iowa, 680; 12. Shawn Cooney, Bondurant, Iowa, and Curt Schroeder, Newton, Iowa, both 669; 14. Justin L. Kay, Wheatland, Iowa, 650; 15. Joe Ross, Thomson, Ill., 646; 16. B.J. Jackson, Clinton, Iowa, 641; 17. Terry Neal, Ely, Iowa, 640; 18. Nick Marolf, Moscow, Iowa, and Eric Sanders, Sherrard, Ill., both 634; 20. Chad Coyne, Orion, Ill., 571. 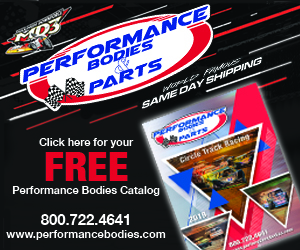 IMCA RaceSaver Sprint Cars – 1. Kevin Ramey, Fort Worth, Texas, 794; 2. Tyler Drueke, Eagle, Neb., 769; 3. Zach Newlin, Millerstown, Pa., 766; 4. Mike Houseman, Des Moines, Iowa, 765; 5. Austin Mundie, Carrollton, Texas, 746; 6. Kenneth Duke, Selinsgrove, Pa., 745; 7. Matt Richards, Lincoln, Neb., 744; 8. Kyle Smith, South Egremont, Mass., and Trevor Serbus, Olivia, Minn., both 743; 10. Dusty Ballenger, Harrisburg, S.D., 739; 11. Austin Bishop, Elverson, Pa., 737; 12. Jake Martens, Fairview, Okla., 736; 13. Ethan Barrow, Bloomington, Ind., 732; 14. 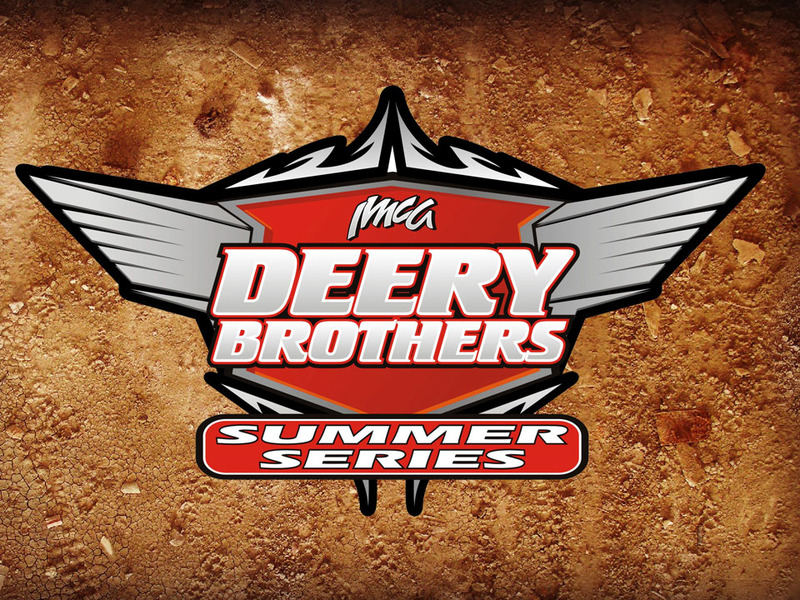 Zach Blurton, Quinter, Kan., Jeff Wimmenauer, Greenwood, Indiana, and Brandon Allen, St. Peter, Minn., each 723; 17. Elliot Amdahl, Flandreau, S.D., 711; 18. Colin Smith, Sheldon, Iowa, 709; 19. Jason Martin, Lincoln, Neb., and Chip Graham, Lewisville, Texas, both 707. IMCA Sunoco Stock Cars – 1. Mike Nichols, Harlan, Iowa, 1,200; 2. Damon Murty, Chelsea, Iowa, 1,187; 3. John Oliver Jr., Danville, Iowa, 1,176; 4. Westin Abbey, Comanche, Texas, 1,153; 5. Dan Mackenthun, Hamburg, Minn., 1,144; 6. Jason Wilkinson, Neligh, Neb., 1,143; 7. Mark Adams, Fort Worth, Texas, 1,127; 8. Jason Rogers, Selden, Kan., 1,125; 9. Matt Speckman, Sleepy Eye, Minn., 1,124; 10. Andy Roller, Waco, Texas, 1,122; 11. Travis Van Straten, Hortonville, Wis., and Troy Burkhart, Hays, Kan., both 1,121; 13. Derek Green, Granada, Minn., 1,118; 14. Devin Smith, Lake City, Iowa, 1,114; 15. Colin Heim, Hoxie, Kan., and Brian Blessington, Breda, Iowa, both 1,113; 17. Chris Heim, Hoxie, Kan., 1,112; 18. Luke Sathoff, Jackson, Minn., 1,107; 19. Damon Hammond, Burleson, Texas, 1,106; 20. Kyle Pfeifer, Hill City, Kan., 1,103. IMCA Sunoco Hobby Stocks – 1. Shannon Anderson, New Virginia, Iowa, 1,200; 2. Cory Probst, Brewster, Minn., 1,192; 3. Luke Wassom, Broken Bow, Neb., and Jeff Ware, Columbus, Neb., both 1,182; 5. Leah Wroten, Independence, Iowa, 1,168; 6. Tim Gonska, Brainerd, Minn., 1,160; 7. Brady Bencken, Oakley, Kan., 1,156; 8. Cameron Wilkinson, Neligh, Neb., 1,155; 9. Tathan Burkhart, Hays, Kan., 1,154; 10. Roy Armstrong, Beatrice, Neb., 1,150; 11. Cody Williams, Minneapolis, Kan., 1,138; 12. Justin Luinenburg, Reading, Minn., 1,133; 13. Garrett Hager, Hays, Kan., 1,128; 14. Shay Simoneau, Damar, Kan., 1,119; 15. Adam Goff, Minot, N.D., 1,118; 16. Brandon Nielsen, Spencer, Iowa, 1,110; 17. Chanse Hollatz, Clear Lake, Iowa, 1,108; 18. Allyn Myers, Berwyn, Neb., 1,103; 19. Drew Barglof, Sioux Rapids, Iowa, 1,102; 20. Adam Ayers, Adair, Iowa, 1,101. 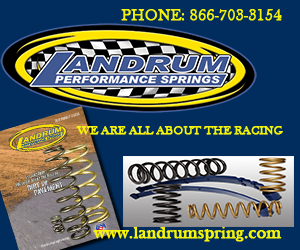 Smiley’s Racing Products Southern SportMods – 1. Gabe Tucker, Carbon, Texas, 1,186; 2. Rodney White, Ector, Texas, 1,159; 3. Jake Upchurch, Grand Prairie, Texas, 1,154; 4. Tyler Bragg, Springtown, Texas, 1,113; 5. Trevor Raney, Sherman, Texas, 1,096; 6. Taylor Florio, Copperas Cove, Texas, 1,095; 7. Kyle Wilkins, Italy, Texas, 1,069; 8. Dustin Robinson, Post, Texas, 1,039; 9. James Skinner, Burleson, Texas, 973; 10. Chris Cogburn, Robinson, Texas, 956; 11. Ryan Thomas, Lubbock, Texas, 952; 12. Cory Williams, Tahoka, Texas, 927; 13. James Hanusch, Belton, Texas, 904; 14. Brayden Wyatt, Wichita Falls, Texas, 896; 15. Steve Gray, Vernal, Utah, 889; 16. Justin Nabors, Kemp, Texas, 881; 17. Jason Reese, Spanish Fork, Utah, 873; 18. Chase Vineyard, Davis, Okla., 864; 19. James McCreery, Midlothian, Texas, 843; 20. J.P. Vasquez Jr., Lubbock, Texas, 833. Karl Chevrolet Northern SportMods – 1. Matthew Looft, Swea City, Iowa, 1,196; 2. Cody Thompson, Sioux City, Iowa, 1,181; 3. Lucas Lamberies, Clintonville, Wis., 1,179; 4. Chase Alves, Chandler, Ariz., 1,177; 5. Austin Luellen, Minburn, Iowa, 1,175; 6. Austen Becerra, Carthage, Ill., 1,172; 7. Tyler Soppe, Sherrill, Iowa, 1,170; 8. Austin Svoboda, David City, Neb., 1,161; 9. Dakota Sproul, Hays, Kan., and Jason George, Laveen, Ariz., both 1,160; 11. Lance Borgman, Beatrice, Neb., 1,155; 12. Tony Olson, Cedar Rapids, Iowa, 1,153; 13. Tony Rialson, Cottonwood, Minn., 1,148; 14. Jake McBirnie, Boone, Iowa, 1,147; 15. Colby Fett, Algona, Iowa, 1,145; 16. Johnathon D. Logue, Boone, Iowa, 1,144; 17. Jorddon Braaten, Central Point, Ore., 1,142; 18. David Siercks, Princeton, Minn., 1,137; 19. Gage Neal, Ely, Iowa, 1,136; 20. Kelly Jacobson, Fargo, N.D., 1,126. Mach-1 Sport Compacts – 1. Ramsey Meyer, Pierce, Neb., 1,196; 2. Dustin Virkus, Clarkfield, Minn., 1,179; 3. Alex Dostal, Glencoe, Minn., 1,163; 4. Barry Taft, Argyle, Iowa, 1,159; 5. Oliver Monson, Clear Lake, Iowa, 1,154; 6. Jay DeVries, Spencer, Iowa, 1,153; 7. Bubba Brown Jr., Jackson, Minn., 1,149; 8. John Martinez, Beatrice, Neb., and Curtis Miller, Lewis, Iowa, both 1,142; 10. Andrew Harris, South Sioux City, Neb., 1,127; 11. Terry Tritt, York, Neb., 1,097; 12. Kaytee DeVries, Spencer, Iowa, 1,093; 13. Shawn Hein, Beatrice, Neb., 1,085; 14. Howard Watson, Weatherford, Texas, 1,067; 15. Brock Klaith, Marshall, Minn., and Jeff Klinkefus, Golden, Colo., both 1,064; 17. Austin Friedrich, St. James, Minn., 1,056; 18. Scott Newbury, Rhome, Texas, 1,053; 19. Joshua Young, Beatrice, Neb., 1,051; 20. Julia Childs, Weatherford, Texas, 1,050.